UNFPA is the lead United Nations agency increasing access to family planning services. Through programs around the world, UNFPA empowers women to determine if and when to have children. 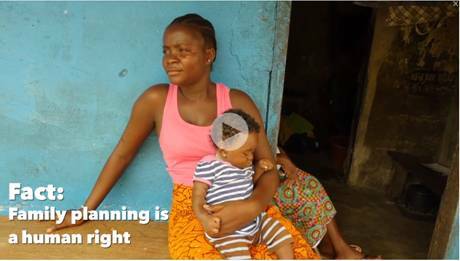 Family planning allows women to reach their full potential and is key to reducing poverty. 214 million women who want to avoid pregnancy are not using safe and effective family planning methods, for reasons ranging from lack of access to lack of support from their partners or communities. UNFPA increases access to family planning and reduces barriers to the use of contraceptives. Through global partnerships, UNFPA ensures a reliable supply of contraceptives even during humanitarian emergencies. UNFPA programs also integrate family planning services into primary health care so that women can easily access information and contraceptives. Family planning allows women to determine their own futures and is key to reducing poverty. See the impact of UNFPA’s work.